This is my newest project. With two movements completed, I am anticipating a pleasant time this summer composing the rest of this piece. Each of the movements of this sonata are named after well known trees found near my home. These are the first two of four movements. I love composers like Copland, Debussy, and Vaughn Williams, but I also like to write in my own harmonic language, rather like painting with sound. I like painting with many colors. “…..the more the real you dares to respond, the more you’re exercising the muscles of your own individuality”. Art is a wonderful way for us to become in touch with our true selves and learn more about life and what it really means to be human. This is part of a conversation in which Sr. Wendy gives us some insights into looking at and experiencing art in a way that helps us to cultivate integrity. Her ideas can easily be applied to listening to music as well. Our spring concert is coming up and rehearsals are underway weekly as we prepare for our first performance as a symphonic ensemble. Featuring pianist Caelin Eager, this program includes music by Handel, Haydn, Chopin, Brahms and Copland as well “Symphonic Picture: New Frontier” written for the ensemble by its founder Dr. Danielle Rosaria. The performance will take place on Saturday, May 17, 2014 at 6:00 PM at the University of La Verne, Ann & Steve Morgan Auditorium, Second Floor FH #104, 1950 Third Street, La Verne, CA. 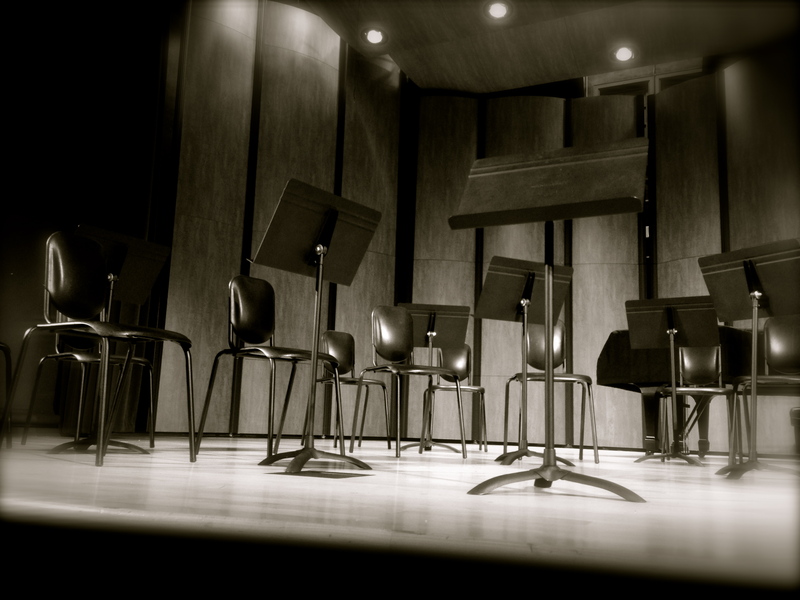 For more information, you can read about the orchestra in the recent article published by Campus Times. These days when we’re listening to a classical radio station like KUSC we almost always hear Baroque music being performed in a historically informed manner. This means that music by Bach, Handel, and even Mozart and Haydn has a different tone quality than other orchestral music say from the Romantic era or the 20th and 21st centuries. Have you ever wondered how musicians today are able to create this unique, almost ancient sounding sound? I’ve written about this topic quite a few times on this blog, mainly dealing with violin technique and instrument setup and today I would like to highlight something that is essential to historical performance practice. When we hear Baroque groups on the radio or in concert, they are invariably employing the most straightforward means musicians use to achieve an authentic Baroque sound: using the kinds of strings musicians had available to them at the time. These were gut strings and they make all the difference when it comes to playing Baroque music. Yes, these strings are made of what they sound like they are: gut. String makers used the intestines of animals treated and wound tightly in various thicknesses to make strings for lutes, instruments in the violin family, viols, and guitars to name a few. This gives the instruments that unique vibrant tone quality that is closely connected with nature, flexible and responsive. Below is a link to a fascinating article about how people make gut strings. Knowing where these strings come from gives us a whole new way of listening to Baroque music!